Rent a car with driver in Vienna to make your driving in the country as comfortable and enjoyable as it is generally possible! No longer will you have to wait for a public transport means, or ask random passersby what direction to take to get to this or that tourist sight. 8Rental's skillful drivers will drive you wherever you need to go without any hustle and bustle.Whatever you have planned to do in Austria, with 8Rental chauffeured service every moment spent here will become a treasure! 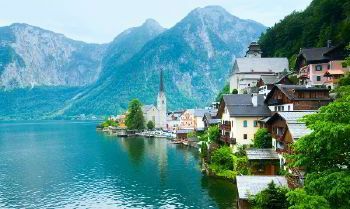 Austria is one of the beautiful German-speaking countries situated right in the center of Europe. Not only the country's capital Vienna but also all other major cities are annually visited by millions of tourists. And if you plan to become one of them, you definitely need a reliable transportation to get to your destinations. Are you a scrupulous client who doesn't agree to be driven in an ordinary vehicle? Specially for you, 8Rental car supplier has prepared a large fleet of most diverse vehicles starting with compact budget sedans and ending with luxury limousines. Choose the make that most suits your requirements based on the number of passengers you will be traveling with, your aim of arrival in Austria, your budget and your personal preferences. Whichever vehicle you pick up, it can be sent to meet you right at the airport you land in. Cars, vans, and coaches are sent right to Vienna, Innsbruck, Graz, Klagenfurt, Salzburg, Linz airports. Our car rental with driver in Austria has enriched its fleet with premium cars by such world-known auto-manufacturers as Audi, Mercedes, BMW, Volkswagen, Toyota, Ford, and others. There are as standard so business and first class cars equipped with all essential amenities including premier safety system, air conditioning, climate control, powerful audio systems, comfy heating seats, etc. At 8Rental, you can also hire a chauffeured minibus in Austria and travel with your family, your entire group of friends or colleagues. There are Mercedes Viano, Mercedes V class and Mercedes Sprinter vans offered to your choice. If the first two vehicles are designed to transport only up to eight people, the last two models will accommodate up to twenty-four passengers. All these minibuses are in excellent conditions and powered with carpeted floors, curtains, reading lights, tinted windows, air conditioning, and other specs. What concerns Mercedes Tourismo coaches you can book from 8Rental car rental with driver service, these are really capacious vehicles you can travel with sixty-four other passengers at the same time. Hiring this bus is highly convenient for those who are organizing tours in Austria's cities for tourists, school-children, and students. A Mercedes Tourismo is powered with a line of specs such as toilets, aircraft-style seats, fridges, TVs (optional), CD and DVD players, air suspension, air conditioning, central heating, coffee machines, minibars, etc. Hire a bus with driver in Austria and be confident in the safety while driving. Above all this, 8Rental has equipped a couple of most luxury and elegant limos to offer if clients. Drive in chic and style in a Chrysler C300 or Cadillac Escalade limo. Both have fantastic interiors to impress your travel companion and get impressed yourself! Do you worry about the professionalism of the driver who will be driving you along Austrian roads? No need! 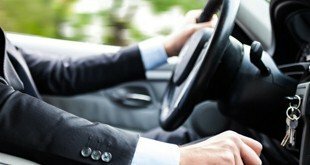 Our drivers are licensed, experienced and responsible! They devote their whole attention to the clients they are in charge of. If you want to practice your German, hire a German-speaking chauffeur. However, if you don't feel like trying to improve your language skills, you can choose an English, Russian, Spanish, Dutch or French speaking driver. By the way, by booking a car with driver from Austria, you won't be charged for the fuel, just as for the medical insurance. Your and your travelers' safety is guaranteed with our trustworthy service! Austria is nowadays one of the most famous destinations for tourists in entire Europe. Regardless the season, the country's cities are always crowded with tourists from all angles of this huge world. 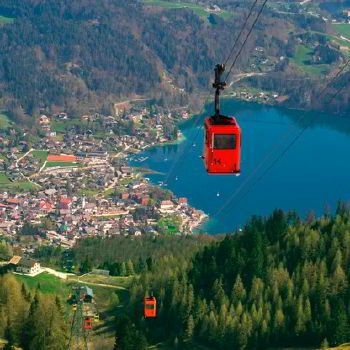 Not only the historical capital Vienna or other fabulous cities such as Graz, Linz, Salzburg, Innsbruck, Klagenfurt, Wels, and others captivate people from around the world, but also the amazing upland areas and high mountains. Austria attracts people with different interests and preferences. Just rent a vehicle wherever you have landed in Austria and enjoy the marvelous weather, rich nature, and architecture.